 Husqvarna Standard Motorcycles : Find New Or Used Husqvarna Standard Motorcycles for sale from across the nation on CycleTrader.com. 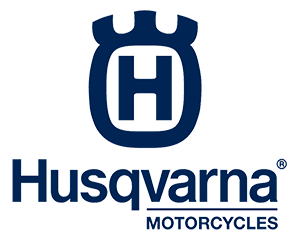 We offer the best selection of Husqvarna Standard Motorcycles to choose from. 2019 Husqvarna SVARTPILEN 401, REDISCOVER YOUR URBAN ENVIRONMENT The SVARTPILEN 401 is a progressive, rugged motorcycle with timeless appeal, designed to endure the demands of urban exploration. Drawing inspiration from Husqvarna Motorcycles' pioneering heritage, this bike also looks ahead, innovates and guides the future of motorcycling in a whole new direction. A motorcycle that offers the perpetual enjoyment of owning something unique and special, combined in an individualistic and technically advanced package - allowing a rider to simply enjoy the thrill of the ride. EXTERIOR The design idea for the SVARTPILEN 401 is to strip away all unnecessary gimmicks and to create a simple, progressive mix of classic thinking and modern design. This way of thinking is synonymous with the Swedish heritage of Husqvarna Motorcycles and can be clearly seen on the SVARTPILEN 401. The lightweight and narrow bodywork is shaped into the SVARTPILEN 401 s design and intelligently allows for seamless movement while riding. Its black colour, rugged tyres and protective parts give the motorcycle a rigorous look to match its urban exploration intentions. WHEELS A design highlight of the SVARTPILEN 401 are the 17 spoked wheels. Central to the character of the SVARTPILEN 401, the wheels offer a unique sense of rugged style and are very robust, offering premium reliability on challenging urban terrain. EXHAUST & HEAT SHIELD The exhaust system on the SVARTPILEN 401 comprises of two parts, a pre-silencer made from steel, and a final silencer, made from aluminium and finished off in matt black. The silencer also features a standard heat shield which fits well with the rugged design. Importantly, the exhaust also ensures the SVARTPILEN 401 also meets strict emissions regulations. ENGINE & GEARBOX The SVARTPILEN 401 is powered by a modern 373cc single cylinder engine that is remarkably compact. With 37Nm of torque from low down in the RPM range and a 6-speed gearbox, it is perfect for urban riding. The electronic fuel injection is operated by a ride-by-wire system and delivers a sharp, but refined and controllable power with a low fuel consumption. With a peak horsepower of 32kW (44hp), the SVARTPILEN 401 is accessible to A2 licence holders, while its lightweight construction means the power-to-weight ratio will also excite more experienced riders. CHALLENGE THE STATUS QUO The SVARTPILEN 701 is simple, raw, authentic and thrilling to ride. Its design captures some of the original spirit that originally made motorcycling great, and that still fuels the imagination of riders today. Its flat track-inspired design exudes a timeless appeal that will continue to stand the test of time. Riding this powerful single-cylinder street explorer is an experience that recaptures the excitement of those first sparks of inspiration, while its SIMPLE. PROGRESSIVE. design is a paradox that challenges the status quo of motorcycling.The intention with the SVARTPILEN 701, was to strip away all unnecessary gimmicks and create a simple, progressive mix of classic thinking and modern design. This approach is synonymous with the Swedish heritage of Husqvarna Motorcycles and can be clearly seen in the sleek, reduced look of this model. The lightweight, narrow bodywork is stylishly shaped into the SVARTPILEN 701's overall design and allows for seamless movement while riding. The design was inspired by the raw and timeless authenticity of the flat track scene, but brought to life in a premium, modern and progressive way. A POWERFUL URBAN ICON The VITPILEN 701 is an immaculately designed street bike that offers a new perspective on urban motorcycling. Driven by a powerful single-cylinder engine, this compact and agile motorcycle is expertly crafted to deliver minimalist styling with exceptional performance and reduced to the bare essence of what a motorcycle should be. Created to suit the unique, progressive lifestyle of modern motorcycling, it delivers a more thrilling, honest and real bike experience.The design idea is to strip away all unnecessary gimmicks and create a simple, progressive mix of classic thinking and modern design. This way of thinking is synonymous with the Swedish heritage of Husqvarna Motorcycles and can be clearly seen on the VITPILEN 701. The lightweight and narrow bodywork is shaped into the VITPILEN 701´s progressive design and intelligently allows for seamless movement while riding. SIMPLE YET DESIRABLE The VITPILEN 401 is a fresh and simple new approach within the world of motorcycling. It is subtle, style-focused and stripped of all that is unnecessary. Its simple yet progressive design opens a new gateway to motorcycle culture and makes urban motorcycling more accessible and inviting than ever before. A bike for progressive, freethinking riders who appreciate exceptional design and seek new ways to experience their urban environment.The design idea is to strip away all unnecessary gimmicks and create a simple, progressive mix of classic thinking and modern design. This way of thinking is synonymous with the Swedish heritage of Husqvarna Motorcycles and can be clearly seen on the VITPILEN 401. The lightweight and narrow bodywork is shaped into the VITPILEN 401´s progressive design and intelligently allows for seamless movement while riding. 2019 Husqvarna VITPILEN 401, NEW VITPILEN 401 SIMPLE YET DESIRABLE The VITPILEN 401 is a fresh and simple new approach within the world of motorcycling. It is subtle, style-focused and stripped of all that is unnecessary. Its simple yet progressive design opens a new gateway to motorcycle culture and makes urban motorcycling more accessible and inviting than ever before. A bike for progressive, freethinking riders who appreciate exceptional design and seek new ways to experience their urban environment THE LINES EXTERIOR The design idea is to strip away all unnecessary gimmicks and create a simple, progressive mix of classic thinking and modern design. This way of thinking is synonymous with the Swedish heritage of Husqvarna Motorcycles and can be clearly seen on the VITPILEN 401. The lightweight and narrow bodywork is shaped into the VITPILEN 401´s progressive design and intelligently allows for seamless movement while riding. WHEELS 17" bronze anodised spoked wheels with electric yellow VITPILEN detailing are a design highlight of the VITPILEN 401. The wheels offer a unique sense of style and are also very robust, offering premium reliability on unpredictable and challenging urban terrain. THE SPECS ENGINE & GEARBOX The VITPILEN 401 is powered by a modern 373cc single-cylinder engine that is remarkably compact. With 37Nm of torque from low down in the RPM range and a 6-speed gearbox, it is perfect for urban riding. The electronic fuel injection is operated by a ride-by-wire system and delivers a sharp, but refined power. With a peak horsepower of 32kW (44hp), the VITPILEN 401 is accessible to A2 licence holders, while its lightweight construction means the power-to-weight ratio will also excite more experienced riders. EXHAUST The exhaust system on the VITPILEN 401 comprises of two parts, a pre-silencer made from steel, and a final silencer, which is made from aluminium and finished off with a raw look and the iconic Husqvarna logo. The design fits well with the stylish overall look of the motorcycle and importantly, also ensures the VITPILEN 401 meets strict emissions regulations. 2019 Husqvarna VITPILEN 701, EXTERIOR The design idea is to strip away all unnecessary gimmicks and create a simple, progressive mix of classic thinking and modern design. This way of thinking is synonymous with the Swedish heritage of Husqvarna Motorcycles and can be clearly seen on the VITPILEN 701. The lightweight and narrow bodywork is shaped into the VITPILEN 701´s progressive design and intelligently allows for seamless movement while riding. WHEELS Lightweight 17" cast alloy wheels are a design highlight of the VITPILEN 701. The wheels offer a unique sense of style and ensure high levels of strength and durability with minimal unsprung weight. The Husqvarna logo is embedded into the wheel, discreetly highlighting the attention to detail on the VITPILEN 701. ENGINE The VITPILEN 701 is powered by a modern 692.7 cc liquid cooled, single-cylinder engine that features the latest design and electronics technology. With a peak horsepower of 55kW (75hp) and 72Nm of torque at 6750 rpm, there is no doubting this motorcycle´s performance potential. The electronic fuel injection is operated by a ride-by-wire system and delivers immediate, sharp and refined power controlled by a standard traction control system. The latest technical solutions such as standard up & down easy shift deliver exceptional ride-ability while innovative production processes and the highest quality materials ensure premium reliability and efficiency, resulting in a long 10,000 km service interval. EXHAUST The exhaust system on the VITPILEN 701 comprises two parts, a pre-silencer made from steel, and a final silencer, which is finished off with a black coating. The design is integrated in the VITPILEN style and importantly, also ensures the VITPILEN 701 meets strict emissions regulations. 2019 Husqvarna SVARTPILEN 401, SIMPLE YET DESIRABLE The VITPILEN 401 is a fresh and simple new approach within the world of motorcycling. It is subtle, style-focused and stripped of all that is unnecessary. Its simple yet progressive design opens a new gateway to motorcycle culture and makes urban motorcycling more accessible and inviting than ever before. A bike for progressive, freethinking riders who appreciate exceptional design and seek new ways to experience their urban environment THE LINES EXTERIOR The design idea is to strip away all unnecessary gimmicks and create a simple, progressive mix of classic thinking and modern design. This way of thinking is synonymous with the Swedish heritage of Husqvarna Motorcycles and can be clearly seen on the VITPILEN 401. The lightweight and narrow bodywork is shaped into the VITPILEN 401´s progressive design and intelligently allows for seamless movement while riding. WHEELS 17" bronze anodised spoked wheels with electric yellow VITPILEN detailing are a design highlight of the VITPILEN 401. The wheels offer a unique sense of style and are also very robust, offering premium reliability on unpredictable and challenging urban terrain. THE SPECS ENGINE & GEARBOX The VITPILEN 401 is powered by a modern 373cc single-cylinder engine that is remarkably compact. With 37Nm of torque from low down in the RPM range and a 6-speed gearbox, it is perfect for urban riding. The electronic fuel injection is operated by a ride-by-wire system and delivers a sharp, but refined power. With a peak horsepower of 32kW (44hp), the VITPILEN 401 is accessible to A2 licence holders, while its lightweight construction means the power-to-weight ratio will also excite more experienced riders. EXHAUST The exhaust system on the VITPILEN 401 comprises of two parts, a pre-silencer made from steel, and a final silencer, which is made from aluminium and finished off with a raw look and the iconic Husqvarna logo. The design fits well with the stylish overall look of the motorcycle and importantly, also ensures the VITPILEN 401 meets strict emissions regulations. 2019 Husqvarna Motorcycles 701 VITPILEN, AVAILABLE NOW!